Pressure treating lumber, cedar shakes and plywood with preservative will significantly increase the lifespan of the wood by protecting it against termite attack and decay. The timber is loaded into a pressure chamber, preservative is added and high pressure is applied to force the preservative deeper into the wood. Pressure treatment is preferred over alternative brush, spray, or bathing options as surface treatments are not suitable for long term integrity. Pressure treating can extend the lifespan of wood for decades . Probyn Export ships lumber products treated with CA (Copper Azole), ACQ (Alkaline Copper Quaternary) and Borate. Also, we can supply shakes and plywood with CCA (Chromated Copper Arsenate) preservative. We recommend Borate treated wood products for residential use, so long as the wood will not come into contact with rain, as Borate can be easily leached from the wood. CCA and ACQ pressure treated lumber products are better suited for industrial applications due to their reputation for durability and integrity. 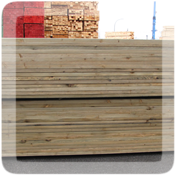 Contact Probyn Export for a detailed, up-to-date list on all the pressure treated wood products that we carry.